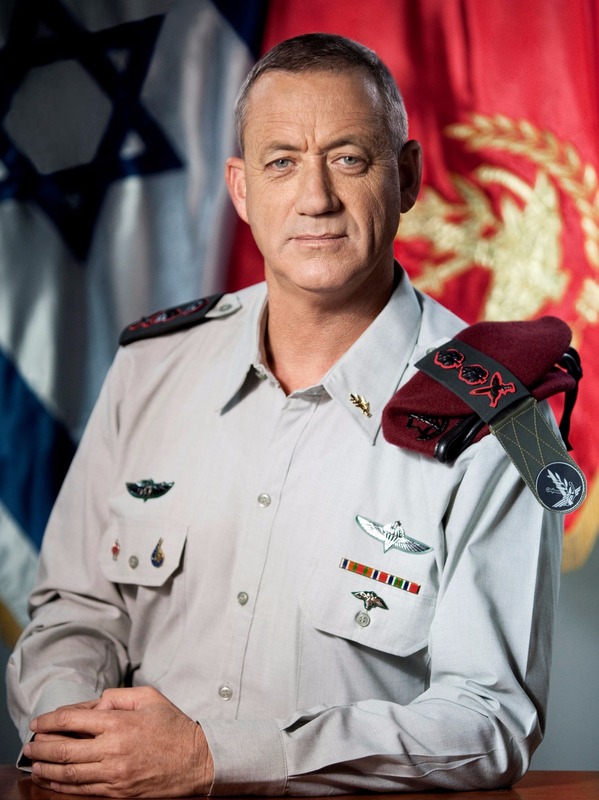 Benjamin “Benny” Gantz is a career soldier and officer in the Israel Defense Forces. Like many high-ranking officers before him, Gantz decided to enter politics and, in 2018, formed his own party – Israel Resilience Party – to run in the March 2019 elections. Gantz was born in Kfar Ahim, a small village in the southern part of the country, on June 9, 1959. His mother Malka is a Holocaust survivor originally from Hungary. His father Nahum was from Romania, and was arrested by the British for trying to enter Palestine illegally before reaching Israel. His parents were among the founders of Kfar Ahim. In his youth, he attended the Shafir High School in Merkaz Shapira and boarding school at the HaKfar HaYarok youth village in Ramat Ha-Sharon. At the age of eighteen, he was drafted into the IDF and accepted as a soldier in the Paratroopers unit of the infantry corps. In 1979, Gantz completed officer’s training school and began an illustrious career in which he would command some of the IDF’s most elite units. His command postings include: Shaldag Air Force Commando Unit (1989-1992); Paratroopers Brigade (1995-1997); Commander of the Reserves Division in the Northern Command, Commander of the Lebanon Liaison Unit, Commander of the Judea and Samaria Division (2000); Commander of the Judea & Samaria Regional Division (2000-2002); Ground Forces Commander (2005-2007); and, Military Attaché in the United States (2005-2009). He is a graduate of the IDF Command and Headquarters College and the National Security College. He holds a Bachelor’s Degree in History from Tel Aviv University, a Master’s Degree in Political Science from the University of Haifa, and an additional Master’s Degree in National Resources Management from the National Defense University in the United States. After assuming the role of Chief of Staff, Gantz was been involved in a number of historic moments for the IDF and Israel. In May 2011, Gantz and Defense Minister Ehud Barak approved the appointment of Orna Barbivai to the head of the IDF Manpower Directorate, making her the first woman Major General in IDF history. In October 2011, Gantz voiced his approval and was part of the decision to exchange Palestinian prisoners for the release of kidnapped IDF soldier Gilad Shalit. When Shalit returned alive to Israel after more than five years in Hamas captivity it marked the first time that an Israeli prisoner-of-war or kidnapped soldier had returned living in almost three decades. Gantz also led the IDF in Operation Pillar of Defense in November 2012 and Operation Protective Edge in 2014 to combat the rocket and terror threat from Gaza. In February 2012, Chairman of the Joint Chiefs of Staff of the U.S. Armed Forces, General Martin Dempsey, awarded Gantz the Legion of Merit award on behalf of the President of the United States. The “Legion of Merit” is a military award awarded for exceptionally meritorious conduct in the performance of outstanding activities and is given both to U.S. military personnel and to international army and government officials. A letter attached to the award stated that it was awarded to Gantz for his outstanding and noteworthy command and for his military service. On February 16, 2015, Gantz completed his term as Chief of the General Staff and entered a three-year legal cooling-off period during which he could not run for the Knesset. This ended on July 2, 2018. Subsequently, Gantz announced his plan to enter politics and formed his new political party in December.